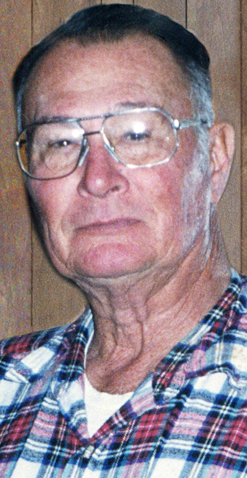 Graveside services are scheduled for 10 a.m. Thursday, Aug. 24, at Woodbine Cemetery for Harmon Bush of Artesia. Bush, 84, was called home by the Lord Saturday, Aug. 19, 2017, at Mission Arch Nursing Home in Roswell. Lee Roy Howard and John Knight will officiate the services. Pallbearers will be his grandsons, Israel Bush, Seth Bush, Jeremiah Bush, Cody Bush, Anthony Trevino and Sterling Steffens. Honorary pallbearers are all of his friends and customers with whom he enjoyed visiting. Harmon was born Oct. 31, 1932, in Sweetwater, Texas, to Gracie (Williams) and Paul Bush. He moved to Artesia in 1948 and graduated from Artesia High School. Following graduation, he married Peggy May and attended college in Las Cruces and Portales. Harmon worked at Russels Store and hauled freight. He was a member of West Main Baptist Church and loved the Lord. He loved to sing the old gospels in the choir. He was also a Sunday School teacher and held many church positions. In 1974, Harmon opened Bush Auto Supply. He loved the parts business and getting to visit with his friends and customers. He was a hard-working and honest man and was well-respected in the community. In his spare time, he enjoyed fishing and hunting. In 1988, he married Marilyn (Powers) Willis, and the couple began buying and raising cattle. Ranching and that lifestyle became a true passion for them. Harmon named every calf that was born. He and Marilyn did all the branding, doctoring and feeding together. They enjoyed ranching for many years. Harmon had a way with the cattle, being able to stop anywhere with a stock trailer and load a big bull by himself. He sold his store and ranched until his health started failing but had his horses and dogs up until their deaths. Survivors include his wife, Marilyn, of the family home; sons Jim Bush and wife Linda, and Kent Bush and wife Ginny, both of Artesia; daughter Kristy Bush of Artesia; stepchildren Diana Wilson and husband David, and Johnny Sisk and wife Kristee, both of Artesia, and Carol Menuey and husband Wally of Carlsbad; grandchildren Israel Bush and wife Victoria, Seth Bush and wife Kelli, Jeremiah Bush, Cody Bush and wife Renee, Anthony Trevino, Nichole Hernandez, and Judah Hernandez; step-grandchildren Lacy Wilson, Justin Wilson, Lane Davis, Heath Davis and wife Jessica, Murphy Davis and wife Jessica, Frankie Sisk, Johnny Sisk, Kaley Sisk, Cheyenne Steffens and husband Nick, Sterling Steffens, Chance Steffens and wife Sabrina, Skyler Menuey, Myssi Dickinson and husband Toby, Mark Duncan, and Tim Duncan; great-grandchildren Josiah, Uriah, Khaydon, Silas, Walker and Wyatt; step-great-grandchildren Sierra, Taylor, Nicole, Ayla, Alora, Cadence and Hunter; and brothers Perry Holder and wife Wanda, Wayne Holder and wife Deanna, and Charles Holder and wife Nancy. He was preceded in death by his mother and stepfather, Gracie Holder and J.P. Holder, and his father, Paul Bush.